Each year we are blessed with opportunities to celebrate different occasions that bring joy into our lives. From birthdays to mother and father day celebrations, anniversaries and many more it can get quite overwhelming when deciding on gift ideas. We now offer you the ability to add your own customised message to an item – so there’s no longer an excuse to keep buying dad socks for father’s day! Want your Father’s Day gift displayed in the pool room? 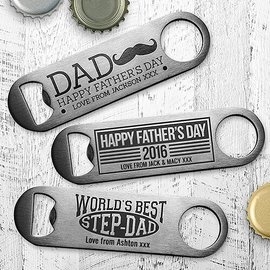 Engrave his name on a beer glass, or add a personal message on his very own BBQ tool. 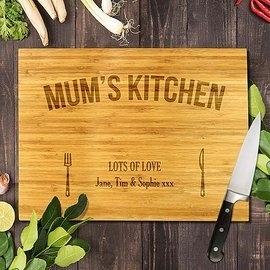 Let’s not forget mum, give her a gift from the heart by making her smile every time she sees your quirky message on her very own bamboo cutting board. We’ve even got you covered for anniversaries – embroidering the name of a loved one on a luxury robe is a loving gift idea that won’t break the bank! Heading back to school no longer needs to be a depressing period for the kids, you can now personalise their school items. Completely customise notebooks by adding your child’s name and even choosing a front cover cartoon character. 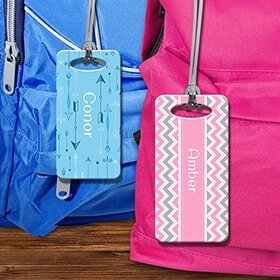 You can even add your child’s name to a pencil case, drink bottle, backpack, phone case and so much more! No more worrying about other children mistaking your child’s items as their own. The perfect gift for a loved one is one simple customised message away. Start designing today!